It started off cute in 2016 when the reboot of Full House — called Fuller House — came to fruition. Wouldn’t it be fun to see what D.J. and Stephanie Tanner and their pal, Kimmy Gibbler, were up to? That was quickly followed by a less-than-satisfying reboot of one of my favorite shows ever, Gilmore Girls. Even if they weren’t well done, the networks began clamoring to find titles to bring back — One Day at a Time, Dynasty, even MTV’s Total Request Live. It’s like the network executives sit around a conference table and look at their show catalog from the 1980s and 1990s. They’ve run out of ideas, so they hit the nostalgia button over and over again. And it has to stop. I am officially over the reboot madness. In the last month alone, the networks announced the rebirth of shows like Charmed, Magnum P.I. and Party of Five. I know I am not alone in my reboot exhaustion. Even the stars of the former shows are dismissing these new incarnations. Take a look at what Holly Marie Combs had to say about the Charmed reboot. She has no time for it — at all. In my opinion, the studios need to develop fresh material. Viewers are actually responding to it and the shows are walking away with major accolades during awards season. Series like This Is Us, Big Little Lies and The Handmaid’s Tale are either adaptations from books or original concepts. While familiarity is nice sometimes, originality is even more refreshing. 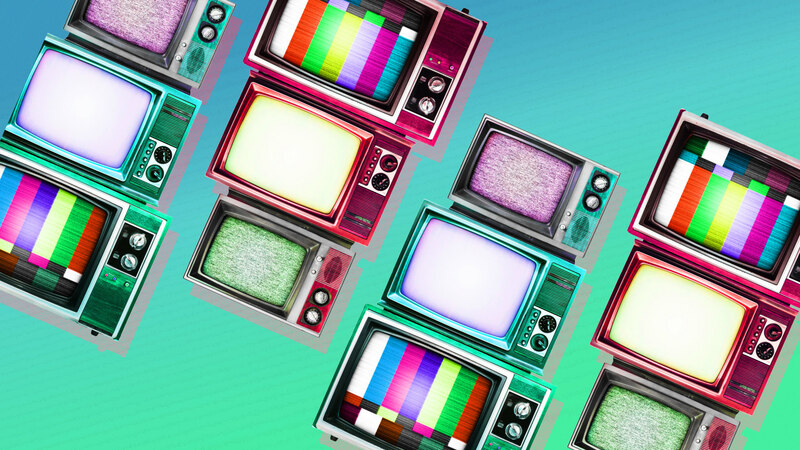 Maybe the networks see reboots as a way to reconnect with their audiences, who seem to be leaving in droves thanks to streaming networks and cord-cutters? They may also see it as giving comfort in global times that are uncertain — when it’s familiar, it feels like home. But this downward trend we’ve been seeing with television ratings for quite a while now is because people don’t have the same viewing habits of a decade ago. And sorry, TV execs, but I don’t think reboots are going to change those habits either. The Hollywood Reporter revealed that CBS’s strategy for pilot season 2018 is focusing heavily on female-centric stories. While that is great news, it’s not original content with female leads. The network is relying heavily on its reboots, including Murphy Brown and Cagney & Lacey, to carry them to a more gender-balanced finish line. CBS is also delivering Magnum P.I. and L.A. Confidential for pilot season and The CW is aiming to bring Roswell and the already maligned Charmed back into the fold. Frankly, all of this news is just exhausting and it makes me spend less time watching TV. On social media, there is a quite a bit of evidence TV viewers are feeling the network recycling fatigue as well. I loved watching charmed in the 🇬🇧. I was always told you don’t remake a classic. What’s with all the reboots any how, are we running out of ideas for new tv shows. All these tv show reboots make me wonder. Why can't we create more quality shows? The reboot will never be the original. I hate the fact that there are "reboots" going on with multiple movies and tv shows. It's ridiculous. If they want to introduce the younger generation to Charmed, why not air those episodes? The one thing saving some of these reboots is that they are reimagining them. One Day at a Time has been tremendously successful by focusing on a Latino family — Party of Five intends to follow that same blueprint. The Greatest American Hero reboot is going to take a female spin this time around (starring New Girl‘s Hannah Simone!). This is one way to make an older property seem fresh again. But is a reboot really fresh when it went off the air less than 20 years ago? Does that really seem fresh to you? With so many incredible streaming services out there, I would just rather watch the original series. A reboot can water down the legacy that a cast and crew created with the series and that hardly seems fair. At the end of the day, though, it’s time for Hollywood to bring forth original stories again. It’s better for TV viewers; it’s better for emerging talent both on- and off-screen; and it’s better for the entertainment industry because it keeps people hungry for new ideas. Anything else just seems lazy.